We've really lost our backbones haven't we America? It seems the more time passes, the more people become soft and easily offended. While I don't believe this progression to this state happened overnight, I do believe it took a major leap during the 2016 Presidential campaign. If anyone agreed with then-presidential candidate Donald Trump and was open about it, they were dragged through the mud by those who did not agree. This kind of slander for expressing one's opinions is not limited to just the liberal left but also the conservative right and really any mindset. Liberals were called snowflakes by Republicans and Republicans were called racists, fascist, and homophobes by Liberals. Name calling doesn't get you anywhere but yet we now live in an age where no one can have a different opinion and feel safe to express it. America is a nation that has been envied for years by other nations because they allowed freedom of speech, thought, and religion to all their citizens. It's what made it such a great nation because so many different prospectives were brought to the table when observing an issue. That way, there was no stone left unturned because everyone was able to say what they thought. I am not saying everything they said was right, but it allowed people to think of the issue from a different point of view than their own. Nowadays, you can't have a conversation without being corrected for your opinion. It's an opinion, not a fact and I truly believe there is nothing wrong with someone having a different opinion than me. I might not agree with their opinion but I want people to be able to say what's on their mind without fear of being judged. The fear of being judged has lead us to raise kids to think a certain way or groom generations to think that they are "insensitive" to different races, religions, viewpoints, and political beliefs. Since this is the new normal in America, no one will tell you what they really think because they don't want to be labeled as something "bad". Not everyone is going to agree and that's okay! Different ideas and opinions can be beneficial in many ways, but we are killing that. Political correctness has become a witch hunt to take out those who think differently than the majority. It has made people weak in the sense that they can not cope with the fake someone does not agree with everything they think is right. Now you can't say basic words that describe someone or a certain thing, without it coming back in personal attacks. If you have been paying attention to the news in recent weeks, let's take Chris Pratt being dragged by Ellen Page for example. She acted on feelings not fact when she tweeted this. Chris Pratt was not there to discuss LGBTQ issues or his church, but rather simply explain his faith and the fast he took because of it. Since he took an unpopular stance (especially in Hollywood) to talk about his faith, it was blown up to be this huge political/personal issue when that was not it's intent at all. Since when did every discussion supposedly have a political or hateful agenda? 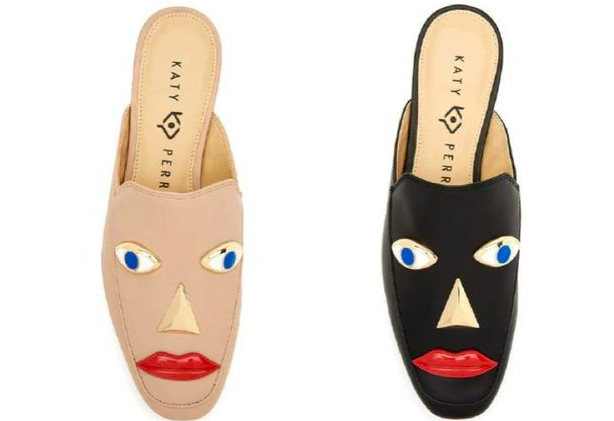 Another example is the backlash Katy Perry is receiving for a pair of shoes in her fashion collection. People are saying they are racist and portraying blackface because of the way the face looks on the black shoes (see below photo). The face does not only appear on the black style of the shoe but also the numerous other colors the style comes in. This is what I mean since we now live in a world of intense political correctness, no one can do or say anything they are truly thinking in fear that it will come off "hurtful" or "insensitive" when that was not the intent in the first place. If we are getting offended at shoes now, we have really lost our backbones America.If you don't like the shoes, don't buy them. If you don't like Chris Pratt's story, don't listen to it. Just because you may not agree with it, does not mean it had an evil intent at heart. There is a difference between offensive speech/actions and being too shallow minded to accept people are different and they are entitled to their beliefs. Disagreements used to make conversations interesting because we got to learn about how other people think. Now, we will never truly know what anyone is thinking because political correctness has ruined conversation.